On March 21, the Huangshi, a city in central China's Hubei province, received approval from the State Council for national standing for its Economic and Technical Development Zone, the second to receive such approval in the province, after the one in the capital, Wuhan. The municipal government of Huangshi regarded this as a golden opportunity to develop the city's low-carbon economy. The Economic and Technical Development Zone, was founded in 1992, and has served as an engine for the city's social and economic transformation. Over the last 18 years, great changes have taken place in the zone, which used to be a deserted swamp on the riverbank. These achievements have paved the way for the zone's promotion to a national industrial zone. With heavy chemical industry taking up a large proportion of the zone's industrial output, the zone's energy consumption used to be higher than the nation's average level. Now, with the promotion, the zone is expected to win more financial support from central government to upgrade its energy-consuming machines and equipment enabling it to develop a low-carbon economy. 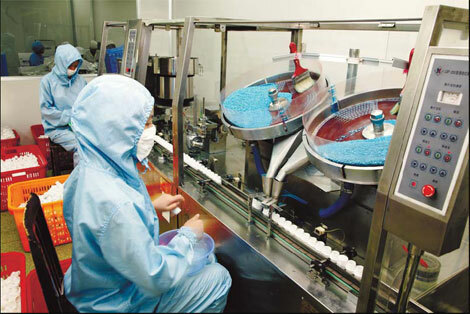 To facilitate a smooth industrial transfer from coastal regions to interior regions, the State Council has decided to establish several key industrial bases in mid and western China. As a national economic and technical development zone, Huangshi is expected to benefit from this transfer and become more competitive. Huangshi has been designated as a national trial city for economic transformation and it is expected to receive a funding of over 10 billion yuan from the central government in the coming years. The funding will be used to promote high-tech and energy-efficient industries. 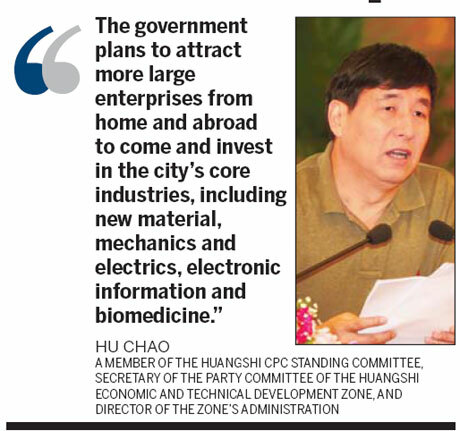 The government plans to attract more large enterprises from home and abroad to come and invest in the city's core industries, including new material, mechanics and electrics, electronic information and biomedicine. After becoming a national economic and technical development zone, Huangshi will play a bigger role in the nation's development strategy. The author Hu Chao is a member of the Huangshi CPC Standing Committee, secretary of the Party committee of the Huangshi Economic and Technical Development Zone, and director of the zone's administration. Consumers who opt for organic foods often believe they are improving their health, but there is currently no strong evidence that organics bring nutrition-related health benefits. Outside the meeting room of S&ED, Chinese researchers aired their views on China-US differences and shared interests. Eva and Victoria at LG Fashion Touch party in West Hollywood. I find many people, no matter young or old, are quick to smile at little kids naturally. Do you know why?